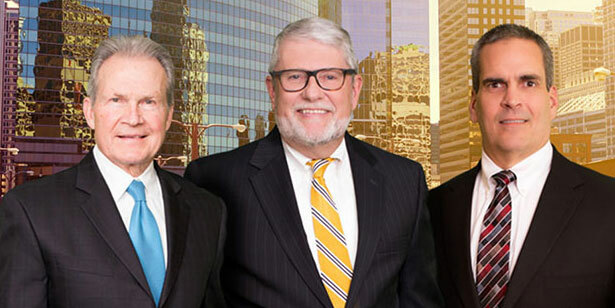 The attorneys of Walsh, Knippen & Cetina, Chartered, are known and respected in the legal community as trial lawyers who take on complex cases and get results for their clients. Our attorneys, with the support of a capable and professional staff, provide aggressive representation and compassionate service to victims of serious personal injuries and medical malpractice from the initial phone call to the resolution of the case and beyond. One of the keys to our success is the skillful use of innovative techniques and state-of-the-art technology at trial, in negotiations and in the day-to-day operation of our office. Sophisticated models and computer animations have helped us win record-setting jury verdicts. Advanced case management systems help us handle your case efficiently and effectively. Professionally organized mock trials and focus groups have helped our lawyers secure multimillion-dollar awards for clients. In theory, justice is blind; in practice, however, each court has slightly different procedures. Each judge has specific preferences, and the human element — including among judges — is inescapable. Our Wheaton office is located across the street from the DuPage County Judicial Center. Our attorneys are known and respected by the judges and officials who administer legal proceedings there. To discuss your medical malpractice or personal injury claim, please contact us for a free consultation and case evaluation. You will pay no attorney fees unless we obtain financial compensation for you. Call 630-462-1980 for our Wheaton office or 312-372-1980 for our downtown Chicago office.